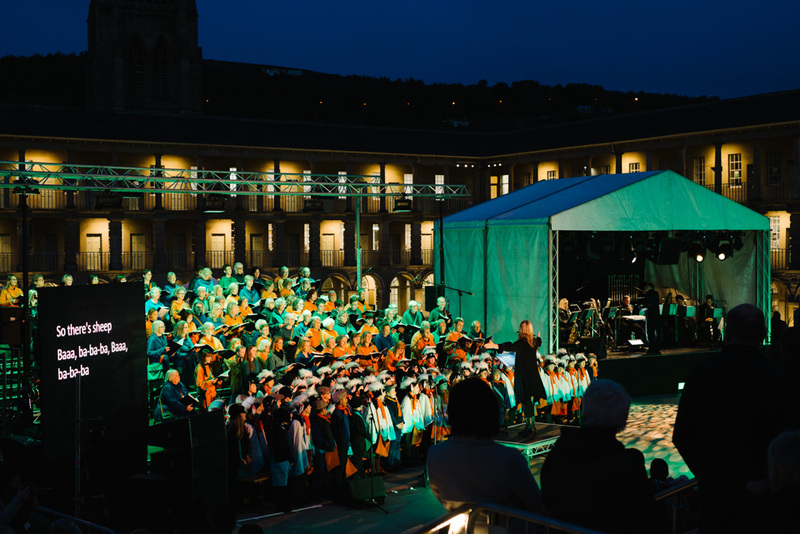 509 Arts‘ programme Landlines and Watermarks (a landscape and a people shaped by water) was a Calder Valley-wide creative response to the devastating Calderdale floods of Boxing Day 2015 and the extraordinary community responses that followed. 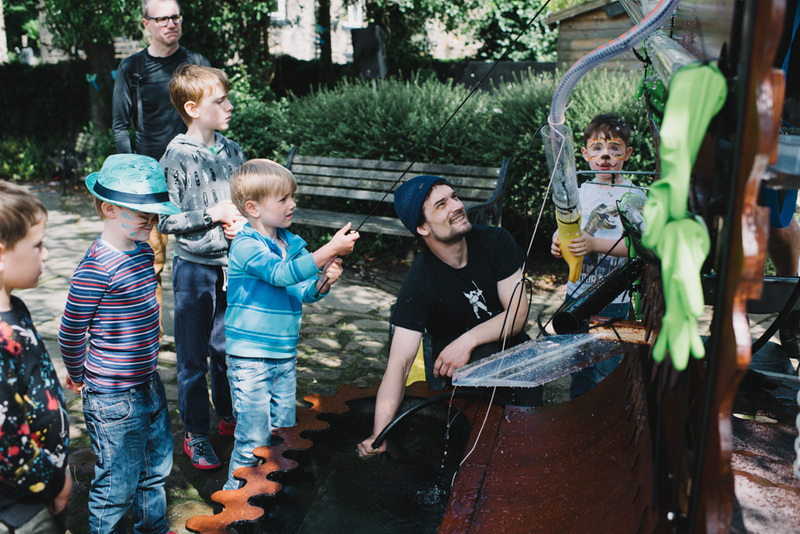 Water Works – six creative commissions by local artists/arts organisations, which took place in the 6 flood-affected towns, each with community participation at their heart. 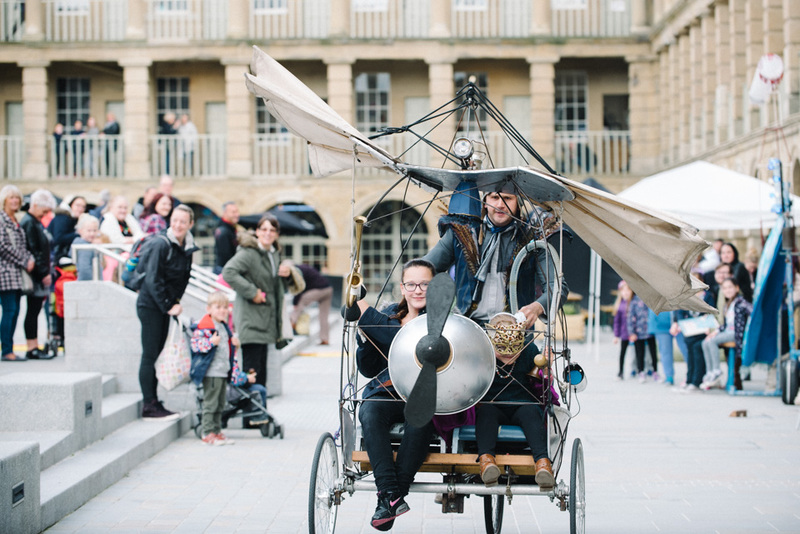 The People’s Fair – a two day marketplace and celebration of creativity and community at the £19m-restored Piece Hall in Halifax that featured local businesses, voluntary groups, street theatre and performance and interactive workshops. 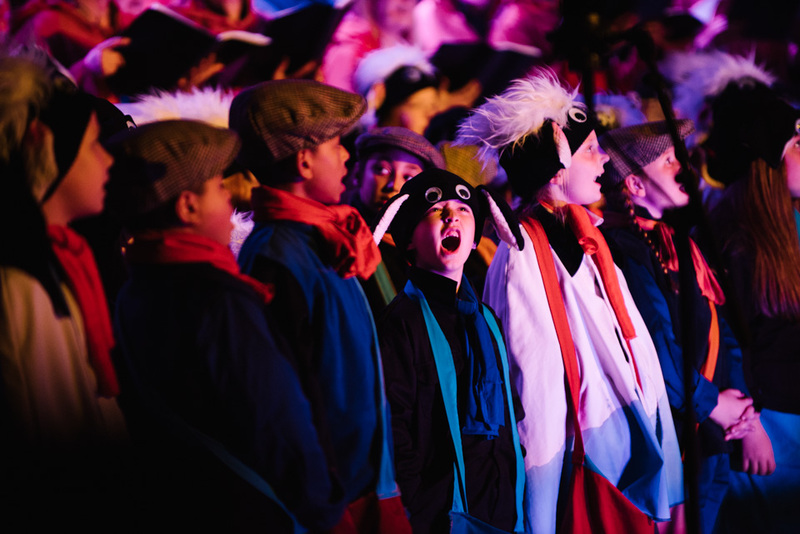 Calderland, the people’s opera – an ambitious epic music production featuring a community cast of over 200, that told the story of the valley and its relationship with water in song, dance music and digital image. Also presented in the Piece Hall. Landlines & Watermarks reached a total audience of 17,041 across 34 public events and performances and involved 1200 participants. Winner of a Royal Philharmonic Society award, the project also featured in a BBC One documentary programme Inside Out.